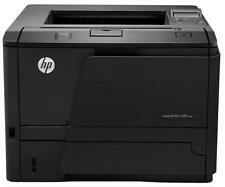 HP Laser Jet 1010 Black And White Printer. 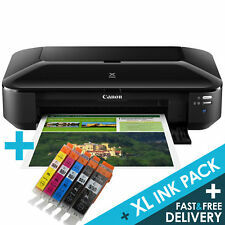 This printer has been excellent but we needed to get a wireless colour printer for the kids school work. DURING THE REFURBISHED PROCEDURE, WE MAY CHANGE VARIOUS COMPONENTS WHICH WILL IMPROVE PERFORMANCE. IN MOST CASES THEY PRINT ALMOST AS NEW, THE ONLY DIFFERENCE IS THE PRICE. 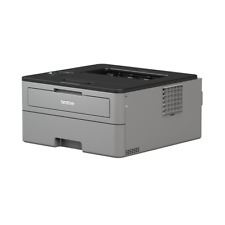 FANTASTIC BARGAINS AVAILABLE ON OUR RANGE OF REFURBISHED PRINTERS. Samsung ProXpress M3320ND Standard Laser Printer. Brand new in box. Box only opened to take photo to show still in original packaging. Complete with toner. Delivery by Hermes. 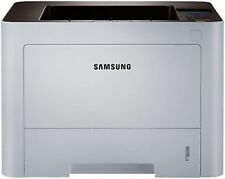 Samsung Xpress Mono M2022W laser Printer . Condition is Used. Works perfectly. HP LASERJET PRO M102w USB & WIRELESS MONO LASER PRINTER G3Q35A. Condition is New. HP LaserJet Pro M102w Printer. Expect more when you use this HP LaserJet Pro wireless mono laser printer. HP 19A Original LaserJet Imaging Drum CF219A (12,000 pages). Serial 8056 Compact Printer in great condition. For use with Sinclair computer from 80s. This HP LaserJet 1010 Laser Printer has a few scuffs on the front and sides. We include exactly what is shown in the photographs, nothing more and nothing less. 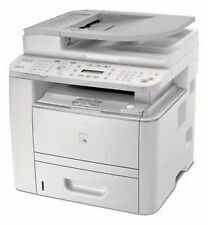 Samsung Xpress M2026W Wireless Mono Laser Printer. Samsung Mono Xpress M2026W printers combine ease of operation with high performance at an affordable price. Connect to the printer with Wi-Fi Direct even with a wireless network not available. HP Jetdirect embedded print server for connecting to a 10/100Base-TX network. No cables provided other than power lead. one 100-sheet tray and two 500-sheet trays. 128 MB RAM, expandable up to 512 MB. 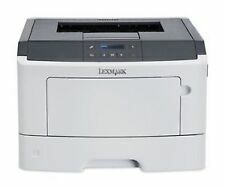 LaserJet A4 Mono Desktop Laser Printer. HP LaserJet 1300. 1 x HP LaserJet 1300. USB & Parallel Connections. Up to 19ppm Mono Print. Warranty ; 6 Months RTB Warranty. New - HP LaserJet Pro M102w Wireless Wifi Mono Laser Printer Apple Air Print, Google Cloud Print, HP ePrint. HP LaserJet Pro M102w Printer, LaserJet. Maximum resolution: 1200 x 1200 DPI, Standard printer languages: PWG, URF, Print technology: Laser. 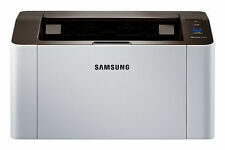 Samsung ML-1865 Compact Mono Laser Printer with Wi-Fi or USB Black & White. Condition is Used. Dispatched with Hermes Tracked. Software is not supplied but drivers are downloadable from HP's website. 6 months RTB warranty. Up to 38ppm print speed. This is what Brother has to say: -. Supplied with good part used drum and toner, power lead & USB cable. Print only (inc. automatic double-sided). Up to 1,200 x 1,200dpi print resolution. HP LaserJet 4350DN. 1 x HP LaserJet 4350DN. LaserJet A4 Desktop Mono Laser Printer. Fast Network & Duplex Ready Workgroup Printer. Duplex Unit. USB, Parallel and Ethernet Connections. Connects Via Parallel, USB and Fast Ethernet. HP Colour LaserJet CP4025DN. 1 x HP Colour LaserJet CP 402 5 DN. 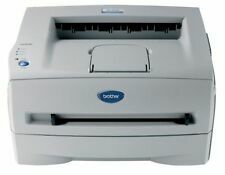 A4 Fast USB High Quality Colour Laser Printer. Fast Network & Duplex Ready Colour Workgroup Printer. Toner Level ; All Toners Above 40%. Brand New and unused. Has only been unboxed and put back in its box. Selling due to not being able to connect it to wi-fi at student accommodation. Have original receipt for warranty purposes. See other items for compatible brand new toner cartridge (large - 3000 pages). HP LASERJET CP4525DN COLOUR PRINTER REFURBISHED. Product SummaryHP CP4525DN A4 Colour Laser Printer. In The BoxHP Colour LaserJet CP4525dn Printer, power cable, toners installed. One of HPx heavy duty colour laser printers. With built-in NFC, you can connect your enabled Smartphone or tablet to the Xpress M2026W and enjoy hassle free printing. 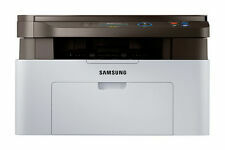 Complete with Samsung's award-winning Eco Driver, the M2026W will keep your printing efficient. Part : HL5450DNU1. 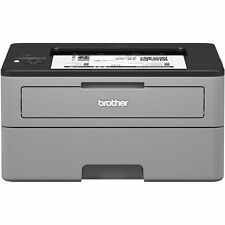 Brother HL-5450DN - A4 Network Mono Laserjet. The Printer Broker Ltd is a supplier of printers, fusers and printer parts based in Bolton, Greater Manchester, UK. Page format A4. Wireless connectivity - WiFi. Scottish Highlands, Scottish Isles, Northern Ireland, Isle of Man and Isle of Wright. No Reserve. Southern Ireland (EIRE). All over the UK. AB, DD, IV1-63, KW1-14, PA21-41, PH1-50. 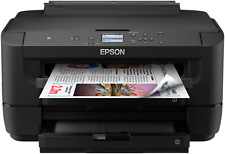 Print up to 21ppm (Mono). USB & Parallel connection. We will always go out of our way to source the product you are looking for. HP OfficeJet Pro 251DW. 1 x HP OfficeJet Pro 251DW. A4 High Quality Colour InkJet Printer. USB Ethernet Wireless Colour Printer. USB, Network & Wireless. Up to 15ppm Colour Print. 10.9cm Colour touchscreen.